AG Ferguson loses another legal skirmish with Tim Eyman — strangely, no AG press release. We received this excellent email, which we want to repost. It is from https://www.wethegoverned.com/ag-ferguson-loses-another-legal-skirmish-with-tim-eyman-strangely-no-ag-press-release/ if you would like to read it there. On Friday, in Thurston County Superior Court, Washington State’s Attorney General Bob Ferguson’s office failed in yet another attempt to charge Eyman massive fines, and charge him with contempt over another dispute about discovery documents. Thurston Superior Court Judge Dixon slapped down the state and ruled from the bench against the State and in Eyman’s favor. Once again, as many have begun to notice, the AG’s office didn’t put out a press release or even a Twitter post to highlight their failure. See original Motion of Contempt against Eyman (linked here). See Defendant Eyman’s response (linked here). The Attorney General was represented in the courtroom by Jeffrey Sprung. Sprung is a former failed Democratic candidate for the Washington State Auditor’s office in 2016, when his election efforts were cut short with a poor showing in the primary (23%). Sprung has been a vocal political critic of Eyman for years, so in the increasingly politicized AG department created by Ferguson, it makes sense that Ferguson would hire hyper partisan politicians with law degrees. It should be noted that Sprung is also a serial violator of Washington State’s campaign finance laws himself (see this complaint filed against Sprung by this author). However, there is no requirement that the people working at the AG’s office in the campaign finance unit be free from violating those same laws themselves. Perhaps the AG policy now is that it is best to hire people who break the law in order to prosecute others who might have broken them. Eyman). Smith’s presence in the audience was logical because he had done a lot of legwork investigating Eyman when he worked at the AG’s office. Additionally, long-time Eyman critic Andrew Villeneuve sat in the audience. Mr. Villeneuve appears to have an unusually obsessive fixation on Tim Eyman and Eyman’s initiative efforts to cut taxes in Washington State. Villeneuve has clearly dedicated his life to Eyman as a permanent critic and groupee of sorts (this was a long drive for him to come down from King County for such disappointing results). According to an older Seattle Met article – he may run his website Northwest Progressive Institute from his parent’s basement, which is a very frugal platform from which to demand higher taxes from everyone else. The AG had also issued a Tweet bragging about this motion for contempt filed against Eyman, which inspired this article in the Seattle PI. This is in addition to the nine Eyman press releases linked below. The fact that the AG’s Communications Director – Brionna Aho was attending the hearing along with KOMO news in the lobby implied the AG had great expectations that Eyman was going to get slapped with a contempt charge. Alas, the expectations were dashed in a few short minutes by Judge Dixon, and it isn’t clear if these expectations were ever warranted in the first place. The AG spent months arguing with Eyman’s attorney, Mark Lamb, over various aspects of the discovery process. As a result, the AG pushed the court to appoint a special “Discovery Master” who is former Thurston County Superior Court Judge Gary Tabor to fill this role. The theory of this appointment is that the court can save itself the costs and expense related to arguments over discovery documents and have an appropriate judge sort out those details for the main show in the courtroom. The weirdness of this recent motion filed by the AG against Eyman is that the AG complains throughout the document (linked here) that Eyman was not following the law or the rules of the court. Yet, the very contempt motion filed by the AG’s office was an attempt to circumvent the very “Discovery Master” judge system that they had so eloquently demanded just a few weeks before. In short, the AG breaks their own court rules while complaining that the other guy is breaking the rules. Usually we want to believe that law, practiced at this level, is actually an intellectual chess match of sorts with dueling sides presenting facts, evidence, and points of law hoping to prevail. While perfect justice is a bit utopian and naive, we still wish to believe at this level of the legal system that these guys are professionals – skilled in their craft and capable in their skill set. However, as Friday’s AG fumble in the courtroom demonstrates – some of these guys don’t know what is going on either. Friday’s courtroom drama should be embarrassing to the AG’s office. It certainly was a waste of time for Mr. Villeneuve to drive all that way from King County. However, this legal decision was really just a skirmish in a fairly major court battle between AG Ferguson and Tim Eyman. Friday went well for Eyman, and if the AG’s office was capable of being embarrassed, they would go back and rethink their ways. Unfortunately, it isn’t their own money they are wasting (it’s ours), so this behavior will probably be repeated in the future. Years ago, long before I ever met Tim Eyman, I was given a video called “the Battles of Tim Eyman.” It was a well-produced documentary style video which covered the circus and saga that Eyman evoked every time he filed another initiative or dressed in a gorilla suit, or made the media’s head explode with some new initiative crusade against the relentless effort of government to absorb more and more of our tax dollars. It was a sympathetic portrayal. Eyman isn’t perfect. Nobody is. The documentary included many interviews with Eyman’s critics – mostly politicians. I was surprised at how bitter and angry most of them seemed to be when they spoke of Eyman. That personal bitterness and enmity shows no sign of abatement. This recent AG lawsuit against Eyman should inspire someone to make another documentary to follow up the first. It is clear that Ferguson’s office is attempting to make THIS battle against Eyman the last one, and based on Friday’s ruling, the AG’s office is just not doing a very good job of it. 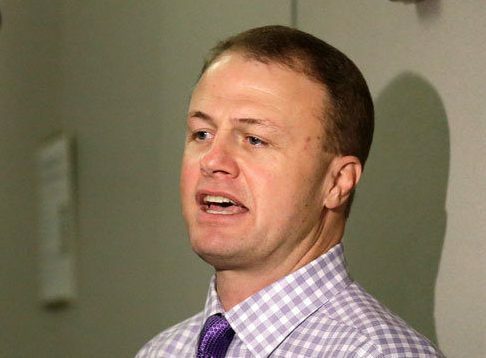 Tim Eyman’s battles are far from over.